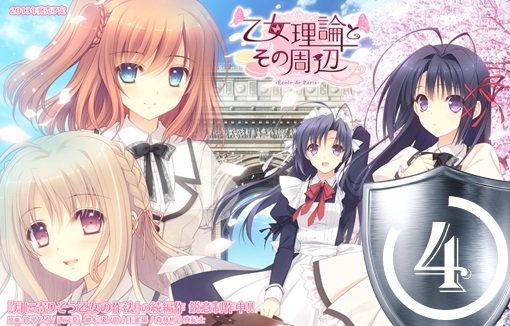 Starting from the bad ending of Otome no Sahou where Yuusei has to leave Luna & co prematurely and evacuate to Paris, Otome Riron to Sono Shuuhen (Theory of a Maiden) improves upon its sequel in pretty much every possible way while also retaining everything that made the original good. Higashinosuke’s writing, especially in terms of memorable character voices and linguistic jokes, has improved to the point that at parts I almost mistook him for Ou Jackson (unless he lied about his master not contributing a single line to this game). The whole thing is simply a pleasure to read, and while it may take forever to reach individual routes, it never feels too much like a drag thanks to the amusing character banter (though I still would’ve appreciated if Higashinosuke tried to pace the story better). Otome Riron basically fixed the main gripes I had with Otome no Sahou, namely: the lack of an interesting story, a villain that worked against his own interests to move the sorry excuse of a plot, and complete redundancy of the protagonist’s complicated backstory. 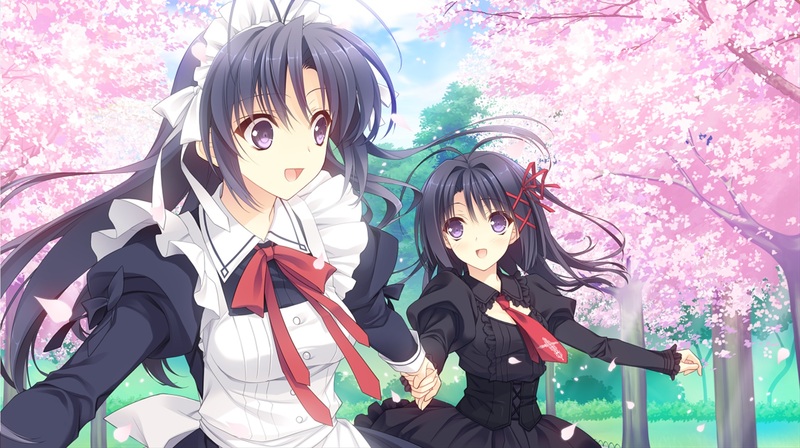 This time around though, rather than design school, the visual novel focuses more on the political machinations of Okura siblings as they try to take over their family (finally doing something with the protagonist’s backstory), and Risona’s quest to overcome her anthropophobia by moving to an alien land and starting anew. Risona was already the best heroine in the first game (no little thanks to her extremely well-written tsunderish shut-in antics) and, with a narrative that’s a mix of an old-fashioned (as in medieval) family feud and a heartfelt coming of age story, her route pretty much ends up at the very pinnacle of Navel’s works (still a step down from OreTsuba, but that one’s more like Ou Jackon’s personal thing than Navel’s). It has a few parts where it’s obvious that Higashinosuke is more comfortable at writing comedy than complicated schemes (as most of the time they have some critical flaw he himself seems to miss), and heroines other than Risona feel somewhat neglected (especially Bruette whose route is barely an hour or two long), but Otome Riron, while not exactly a masterpiece, is certainly a very entertaining ride from start to finish. Higashinosuke even managed to make cross-dressing, design, and noble birth (read: restrained by familial oaths) combine into something poetic by introducing the idea that “clothes make a man, and everyone can always choose what they wear”. Still, someone should tell the guy that talent at designing clothes doesn’t necessarily translate to talent for running business (>_<).